Find My Workspace lists over 95% of the business centres market in Aberdeen. Simply click Request Quote to check pricing for one office, or Add to Basket for multiple offices. This available office space is situated in the Aberdeen Energy & Innovation Parks where they have created environments that people love – where it’s possible to achieve that all important work-life balance. Both Parks are situated in beautiful locations – one in a mature, lush parkland setting and the other in a scenic coastal setting overlooking the North Sea. Office space is available from now (subject to conclusion of missives), and benefits from its own heating/cooling system and separate meeting room. Multiple tea prep areas within the suite allows for easy access to that morning cuppa for all staff. Clients will be able to access the generous car parking and electric car charging points on site ensuring that it is not only accessible but environmentally friendly with well-maintained indoor and outdoor recreation areas. 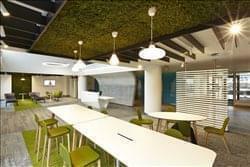 The building has recently been refurbished to a very high standard including the shared communal areas such as the toilets and shower rooms to now include lockers and hair drying facilities that are a must for those wishing to cycle to work. 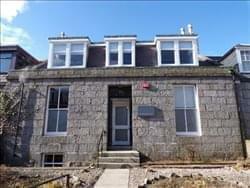 Newly renovated granite period property located on Bon Accord Street in Aberdeen city centre. On offer is a single serviced office suite in a shared building which is occupied by only one other business. There is a security entrance and fully manned reception area which can handle any visitors you have. There is a furnished meeting room which can be utilised along with a shared kitchen and toilet facilities. The office is currently unfurnished but can be furnished as required. Telephone calls are included (except for 08/09 and international calls) and there is EFM internet connection and CAT5 cabling. This business centre situated in a prime area of Aberdeen, offers a range of serviced and virtual office space along with various meeting rooms. This centre is modern, stylish and will give an impressive welcome to any visitor, with the buildings unique exterior, and friendly on-site reception team. Here you can benefit from 24-hour access, fully furnished offices with WiFi and full-height glass windows that offer great views of the surrounding area. Cycling to work is a great option and here with the on-site bike racks you will have peace of mind knowing your bike is safe and secure. Fantastic office space that has been recently refurbished to the highest standard is available for lease with simple all-inclusive rent. The centre boasts a state of the art remodelled reception area which offers excellent customer service, mail-handling and administrative services. The site is accessible 24-hours with 24-hour security. Tenants have full use of the communal kitchen facilities and comfortable break out areas. There is excellent high-speed internet, an on-site café and lots of car parking available. 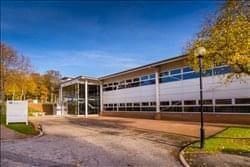 This modern centre is perfect for growing businesses in Aberdeen. 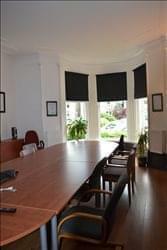 This is an independent, boutique business that provides quality offices, meeting facilities and training rooms from a handsome Victorian mansion house located in the centre of Aberdeen’s West End. Some new business start-ups may require their own secure office, others may prefer to work in an open, innovative work area to collaborate with like-minded individuals, or use our splendid training room with classic Victorian features. To obtain information for your selected Aberdeen City County Business Centres, please tick the "Add to basket" box for each office you prefer and complete the form below. We will then send a detailed report via email.